F/S Frank Wakefield Upton, RNZAF NZ404430 – Air Bomber. Killed age 28 on the 21st of April 1943. 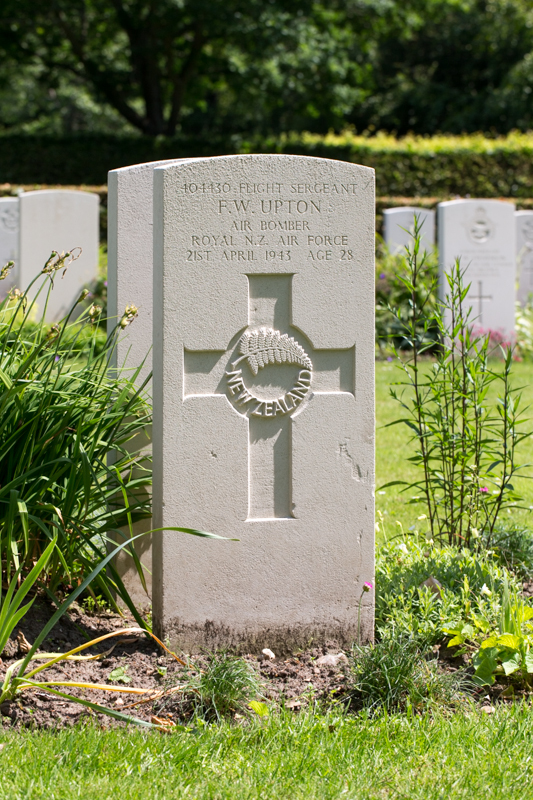 Son of Fredrick Samuel and Isabel Upton, of Christchurch, Canterbury, New Zealand.